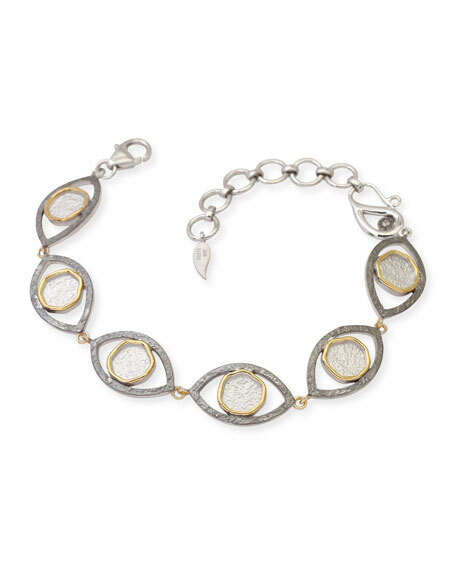 COOMI bracelet from the Serenity Collection. Sterling silver with textured finish. 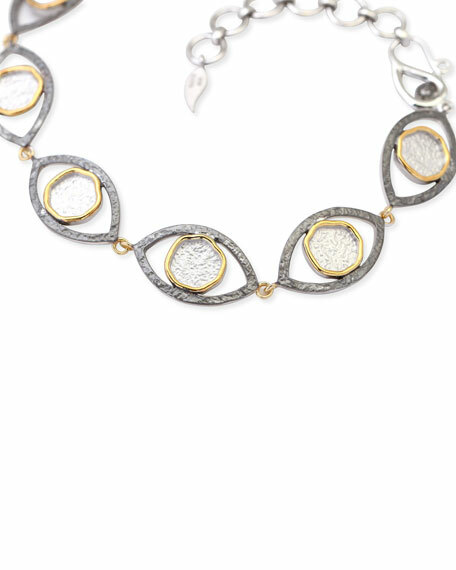 20-karat yellow gold micro-plated accents. 0.03 total diamond carat weight. Lobster clasp with chain extender. Renaissance woman Coomi has an inherent artistic nature that, over the past two decades, has driven her to careers as a textile designer, landscape designer, and architect. In 2002, she decided to pursue her ongoing affinity for jewelry by launching her feminine, powerful collection. The Coomi line has met with much success in the U.S. and abroad. For in-store inquiries, use sku #2095264.